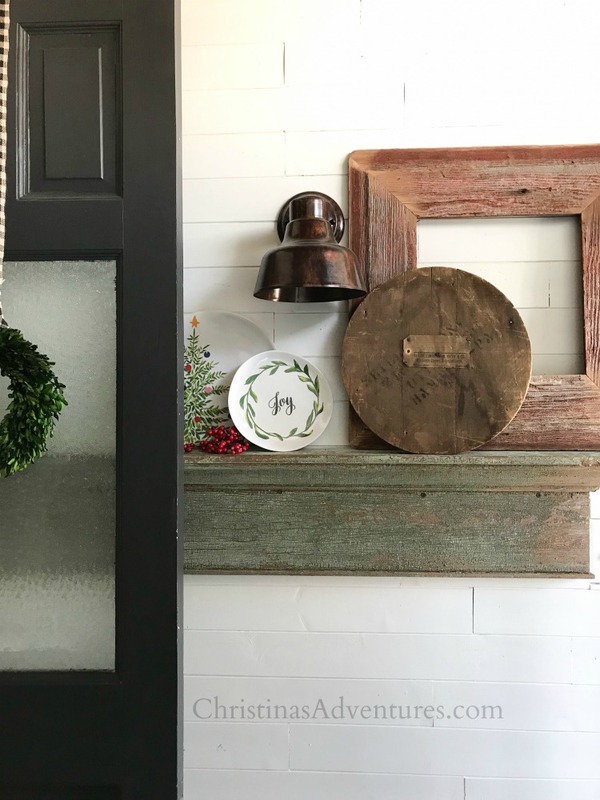 Come along and see this casual Christmas house tour – filled with farmhouse charm, vintage pieces, and DIY projects in this fixer upper home. This post contains affiliate links, from which I make a small commission at no extra cost to you. Maybe it’s the pregnancy, maybe it’s that I overcommitted myself in the past few months, or maybe it’s the fact that there’s still 8374623 things to do before Christmas. 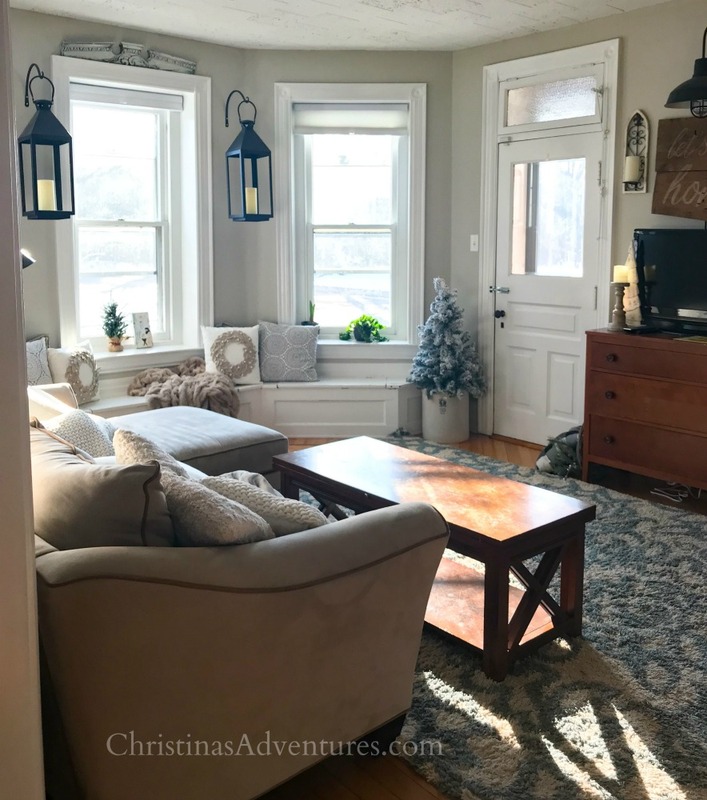 Whatever it is – it’s left me completely unmotivated to pull out my “real camera” and take pictures of our house decorated for Christmas this year. I’ve been sharing cell-phone only pictures on my Instagram for a few months now, and it’s been really freeing. I wasn’t going to put together a Christmas house tour this year, but I really do love our decorations. I figured we’re like friends now – maybe you wouldn’t be upset if I didn’t take out my real camera and didn’t go crazy editing my pictures. So here’s my house, all decorated for Christmas – dust bunnies and all. I took pictures on a beautiful sunny day (which makes picture taking harder) … all with my cell phone and with minimal editing (just some cropping, straightening, brightening & watermarking) 🙂 Just ignore the signs of “real life” – or don’t! 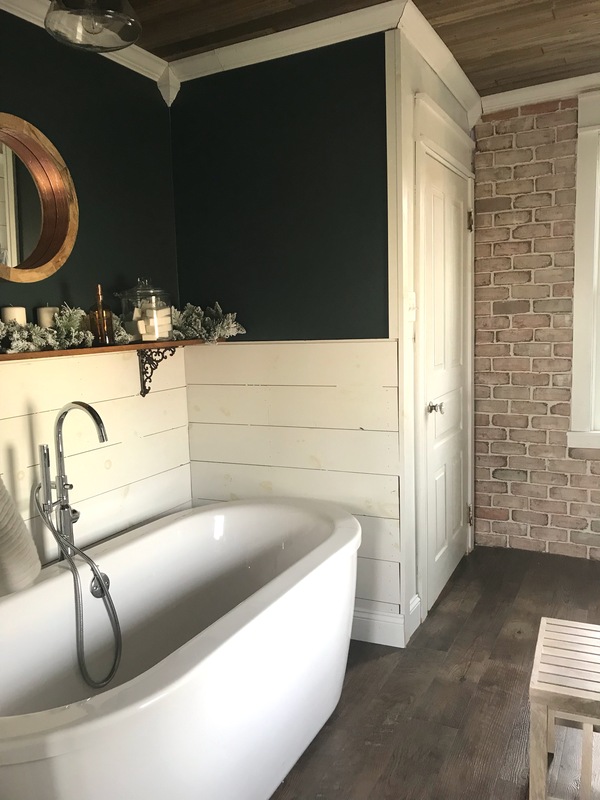 See all of the pretty pictures of this room (with all sources) in this post here. 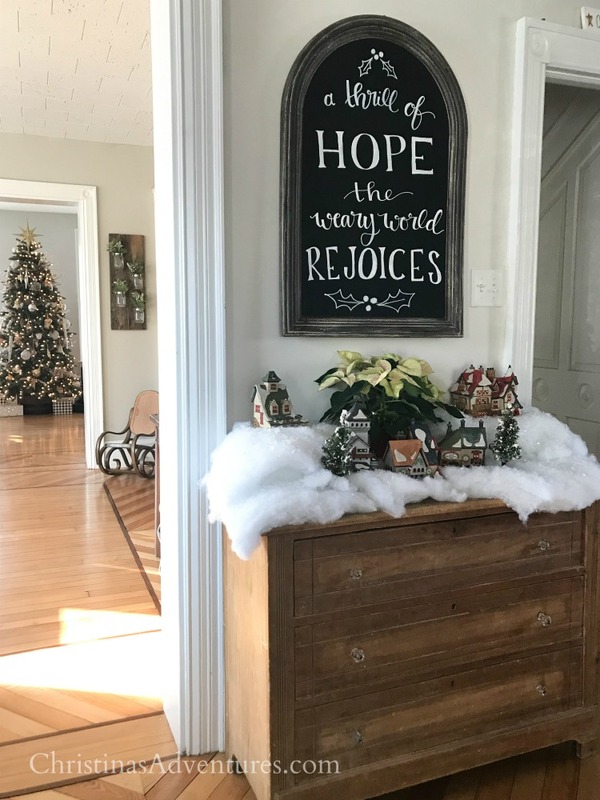 Kayla did such a beautiful job writing on our chalkboard – and my kids and I mayyy have gone a little overboard on the fake snow by my childhood Christmas village…but I kind of love it. We love this chalkboard – you can buy it here. 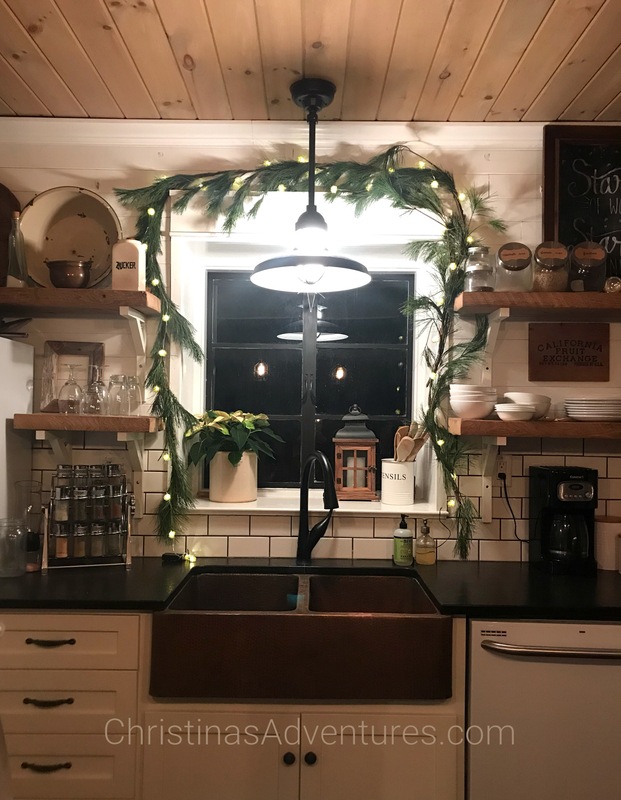 My Christmas kitchen window is one of my all-time favorites. I added some fresh pine garland from BJ’s and some inexpensive twinkle lights …and it’s so magical at night! 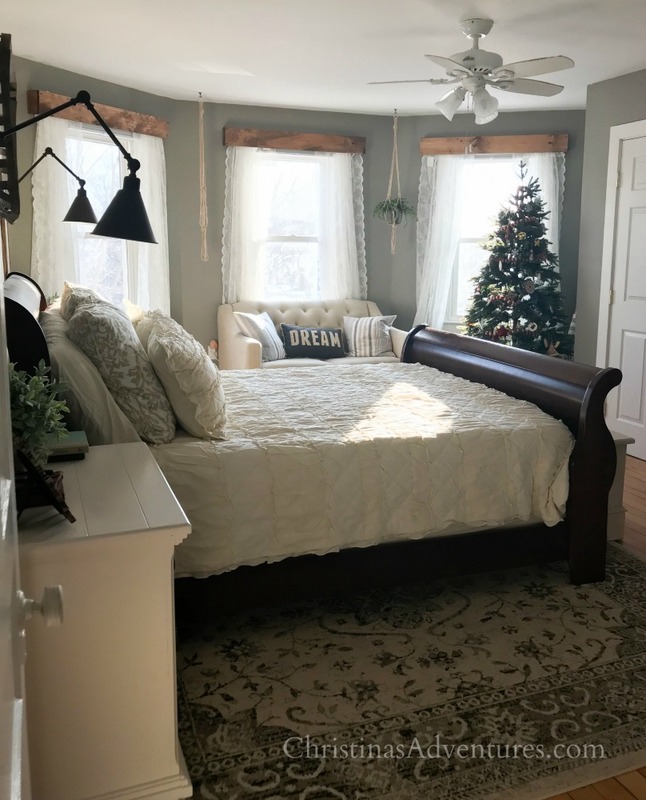 If you haven’t seen our bedroom makeover yet, you’ll LOVE it! Come see it here. I also reallllly love my tree downstairs. 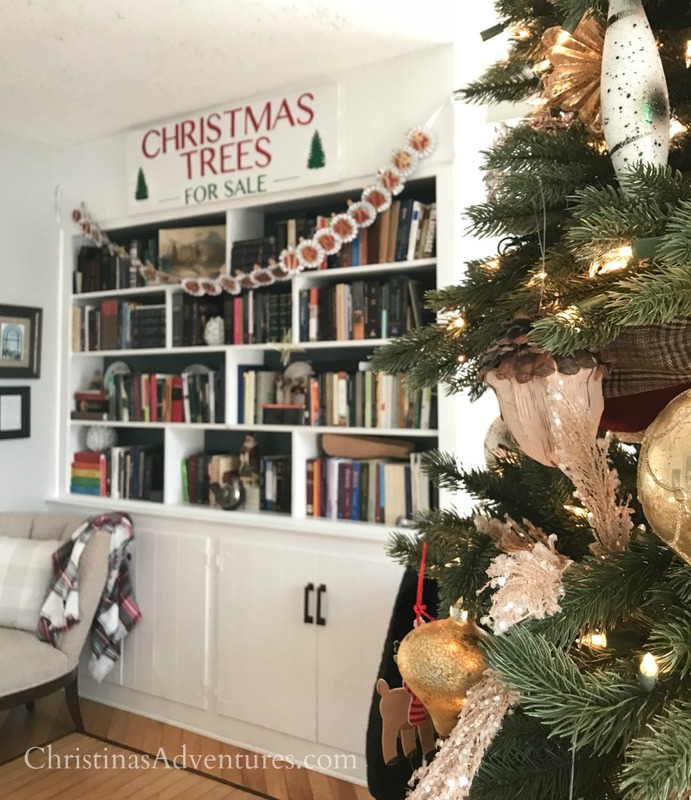 You can see so much more of it in this post – it’s the most beautiful tree we’ve ever had! 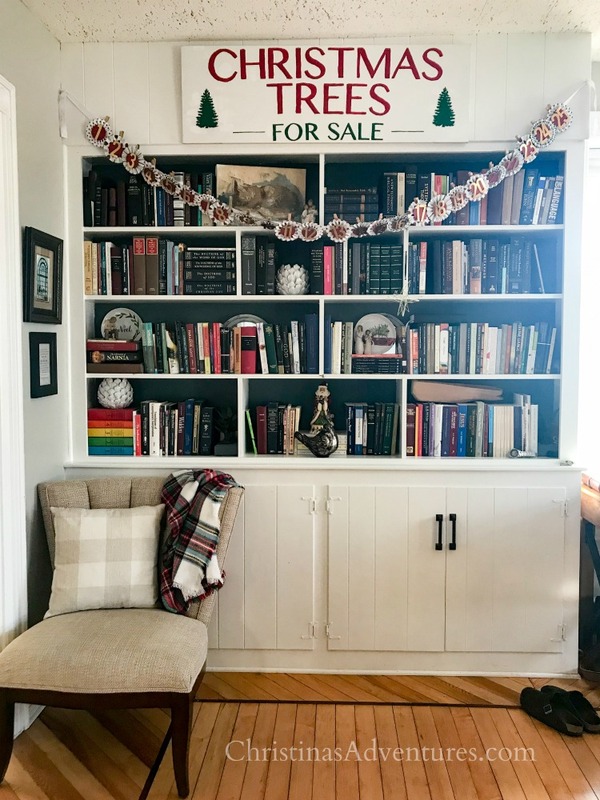 My sweet friend Ellen made me that “Christmas trees” sign last year and I love it so much. We have our Advent countdown under it, and the kids are LOVING the tradition this year. They’re at such a fun age for Christmas activities right now! Please tell me you’ve seen what this space used to look like – our whole makeover was CRAZY! See it here. 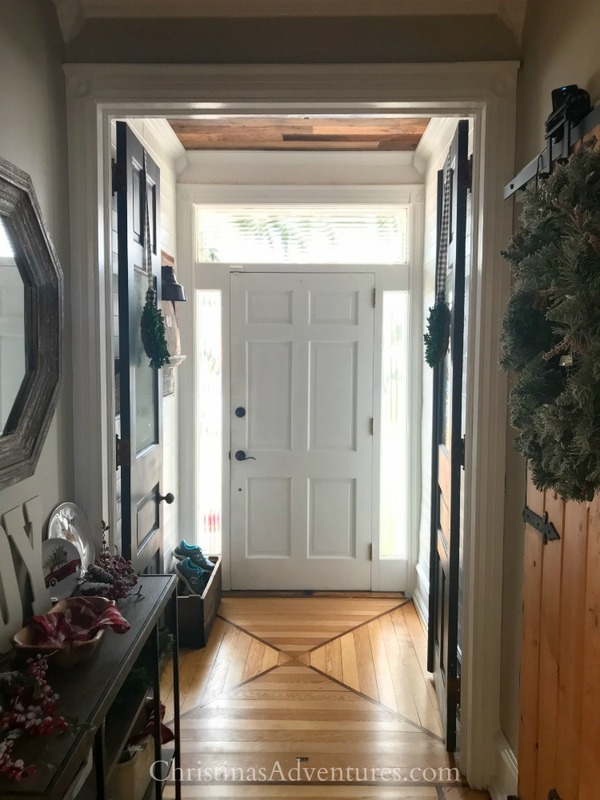 I remember trying to decorate in this hallway when we were living in our house for a year – there were still cracks in the plaster walls (we had removed the wallpaper) and everything was just so gross looking. But we still strung up garland and stockings and tried to make it festive! 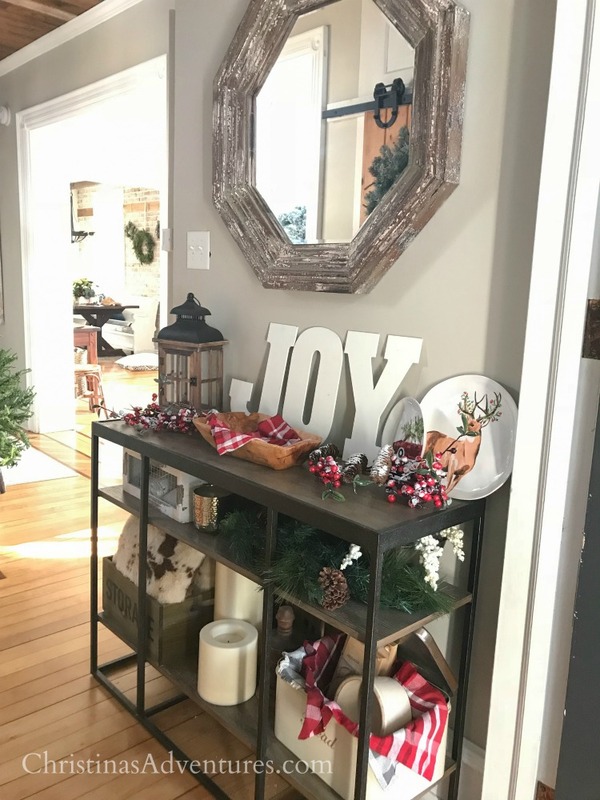 I wasn’t really feeling the red in the rest of our house this year, but I put a few pops of red in this space and I kind of love it! Come see our hallway’s full transformation here – and why it took 2 years to get it this way! 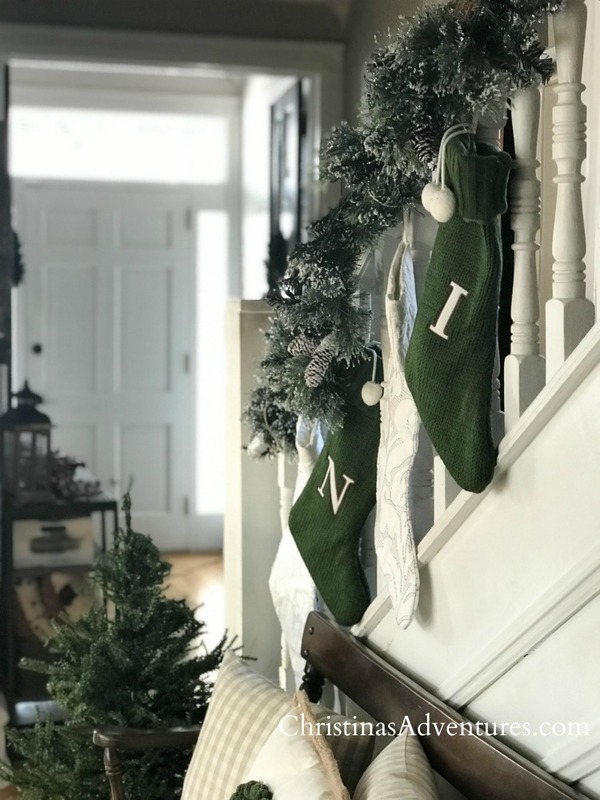 And can I just say – that next year I am SO excited to add another stocking to that staircase? Feeling so blessed this Christmas season! And if you’re annoyed by the quality of the pictures – I’m truly sorry! I’ve never done this before and I don’t know if I’ll ever do it again – but I thought it was worth sharing our decor with you guys in this way just this once. I really love your decor. It’s elegant, chic, minimal and very cozy. Everything I love! Thank you so much Diana! I so appreciate it! Your home is absolutely lovely! All the hard work has and love you have put into it radiates. Your style is so warm and make your home so inviting! So kind of you – thank you so much! !